The Wilson AG Pro 70 has been discontinued and replaced by the new and improved Wilson 460105 AG Pro 70 Dual-Band 70 dB Yagi Kit. This product contains the amplifier and power supply only! 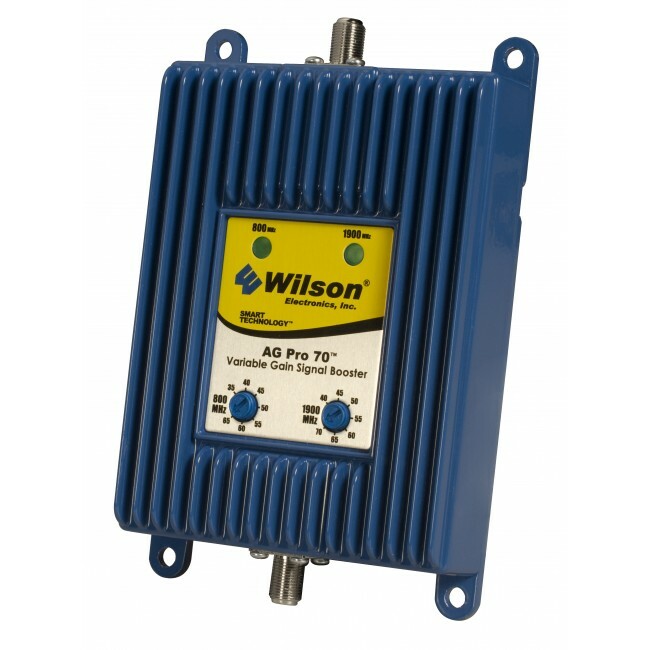 For full signal booster kits, see the Wilson AG PRO 70 Omni Kit (801265) and Wilson AG PRO 70 Yagi Kit (801265). 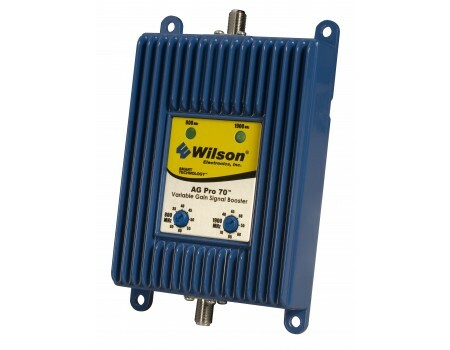 The Wilson 801265 AG PRO 70 Amplifier is a dual-band cellular signal booster designed to provide a strong cellular signal and larger coverage area inside a home, office and building. Having an adjustable gain simplifies installation by making antenna placement less critical. It gives an installer greater flexibility to optimize the AG Pro’s gain level to match the installation requirements of the building in which it is deployed. 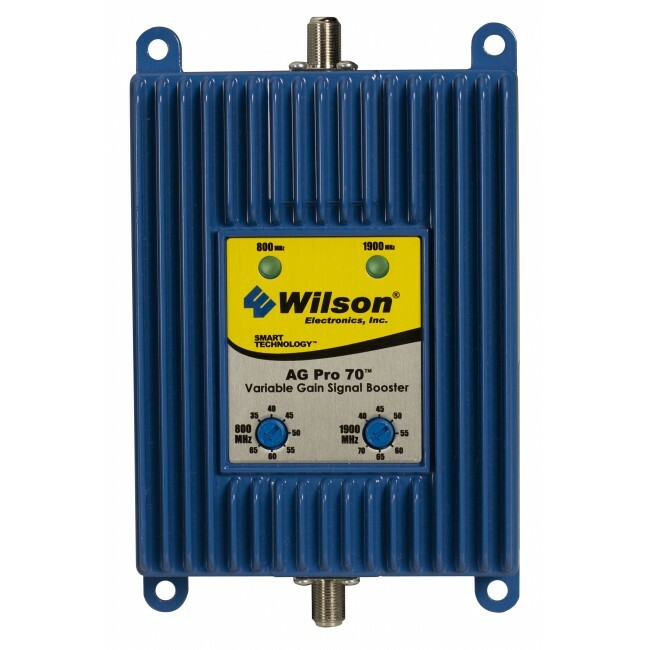 In addition, the AG Pro 70 is one of the highest gain signal boosters Wilson has released to date, providing a reliable connection even in weak signal areas for multiple cell phones and data cards simultaneously. The AG Pro 70 uses RG6 cable (standard satellite / TV coax) making installation even easier as the booster can be connected to pre-run cables in the building. This unit works with all cellular devices on all North American cellular networks (except Nextel/iDEN), and includes Wilson’s patented network protection technologies to prevent interference on cellular networks.